Our tearoom is a delightful experience. 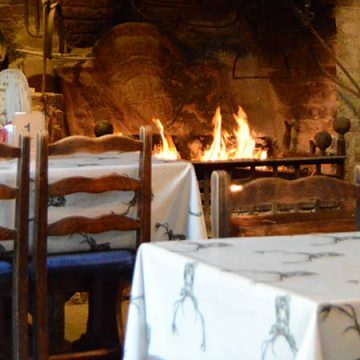 The handmade bread and cakes, and the finest teas and coffees – all served in ancient surroundings, often in front of a blazing open fire and delivered with a smile. It’s a timeless treat – endearingly unique, reassuringly traditional and irresistibly delicious.